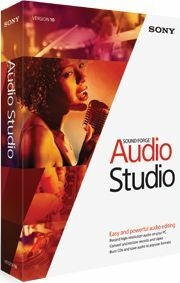 Sound Forge Audio Studio is perfect for recording, editing, and energizing music and sound. Digitize, repair, and restore rare records and tapes, produce podcasts and karaoke tracks, burn CDs, and render out all the right formats for playback from any source. Give your tracks high-end sonic impact with classic Sound Forge tools.